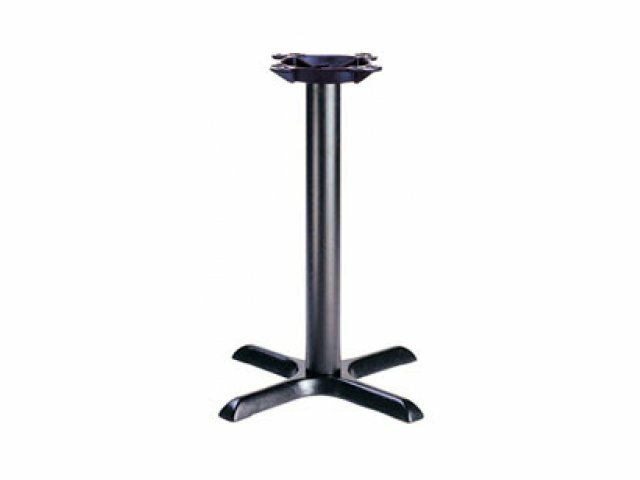 Deluxe Round Bar-Height Cafe Table with X-Base 30" dia. Take your cafeteria tables to a whole new level of style with these counter-height cafe tables. 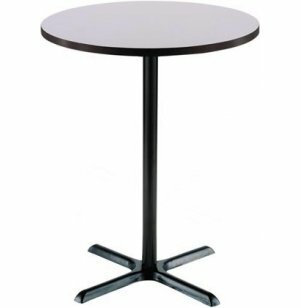 Perfect for both school cafeterias and office dining areas, these tables are as practical as they are attractive. The high-pressure laminate surface is spill and stain-resistant and a breeze to clean even with just a damp cloth. The iron X-base adds stability as well as leg room, allowing patrons to sit in comfort and enjoy their lunch. Available in a beautiful choice of rich colors, these cafeteria tables will make any dining experience more enjoyable. 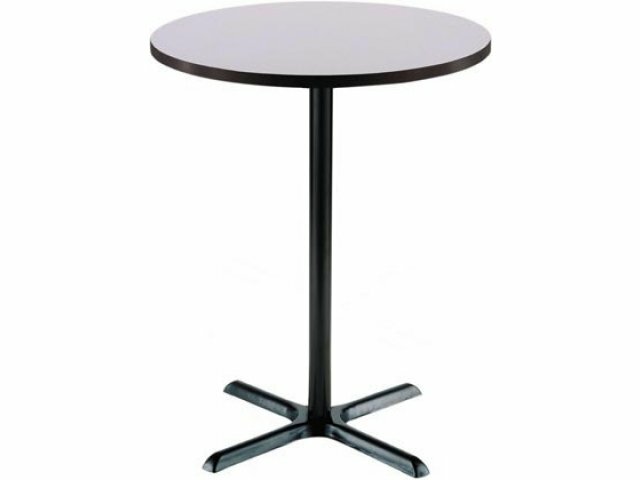 Classic Style: Classic cafe-type tables add pizzazz to school and office dining areas. Easy Maintenance: 1-1/4" High-pressure laminate tabletops are easy to clean, facilitating cleanup between meals. Extra-Comfortable: X-base provides ample leg room for better comfort. No-Peel Edging: T-mold edge banding is super-durable and won't peel. Rich Colors: Choice of rich colors allows these tables to be matched to any decor.